Nothing could come very timely than a chance to escape Manila’s gloomy weather. A typhoon just whizzed by the city and left a somber mood as bleak as the gray skies. An hour of buzzing through the southern highways leading to Laguna has revealed a sunny set of blue skies. “The weather is looking great, I thought it would ruin our trip” my friend Faith excitedly tells me as she steers the wheel of her car. 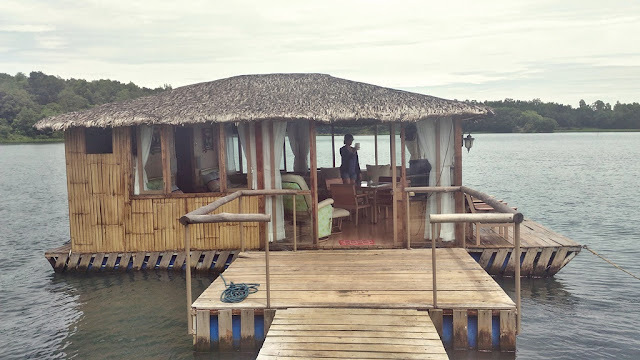 Earlier in the week, an invite from the Cottages and Many More team popped up on my inbox inviting me to visit their “small nature haven” located in the scenic surroundings of Caliraya Lake. After a brief online introduction I said “Yes” and instantly, images of the lake stemming from earlier journeys to that part of Laguna came flashing back to my mind. I first visited Lake Caliraya back in college as a member of the UST Mountaineering Club. 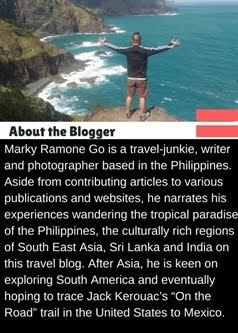 I remembered boarding a jeepney from Crossing’s in Shaw Boulevard and alighting off at the ‘Japanese Garden’ near the lake and going on a short trek to a towering waterfall – we simply call “Caliraya Falls”. Afterward, we went to the lake and laid out on the wide grass and had our late afternoon lunch. A couple of jaunts later in the intervening years had me seeing little changes in the place. More resorts were established but the nature charm that first captivated me remains. Placed above the glass-like water of the lake is the main draw of the place; the floating cottage where me and Faith spent a couple of nights. 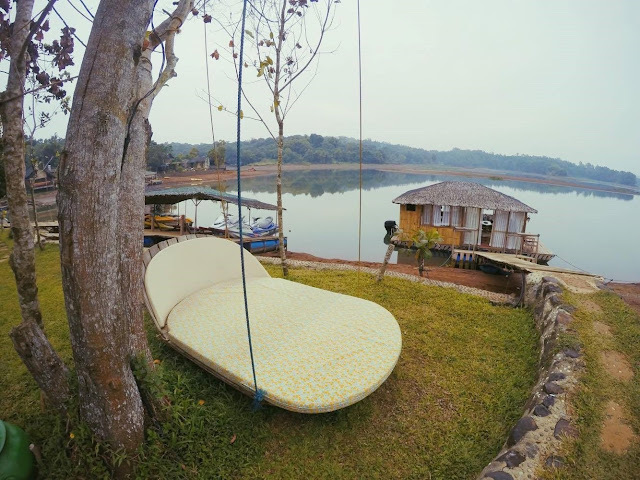 Reliving memories of similar experiences spending a night on a moving boat in the backwaters of Kerala, India and aboard the junk boats inHalong Bay in Vietnam; Eco Saddle’s floating cottage dishes a comparable vibe as it literally functions as a bedroom with a veranda – while it floats along the tranquil waters of Caliraya Lake. The company that manages the property, which includes the locals; Cottages and Many More tells me the idea behind the floating cottage. While the surrounding environment that envelopes Eco Saddle screams of a chill and Zen mode, a variety of outdoor and watersports activities are readily available for visitors. On our first day, Faith and I rode the resort’s Jetski and just blasted our way up to 60 kph – zigzagging through the waters of the lake. We also rode the various inflatable floating rides – one of which is aptly called “Tsinelas” by the caretaker as it is shaped like one. We boarded it by taking turns standing while the other lay down. Once we're both ready, It was then pulled at full speed by the caretaker driving the JetSki. The aim of the ride is to throw you over so do not freak out when you find yourself flying into the waters. 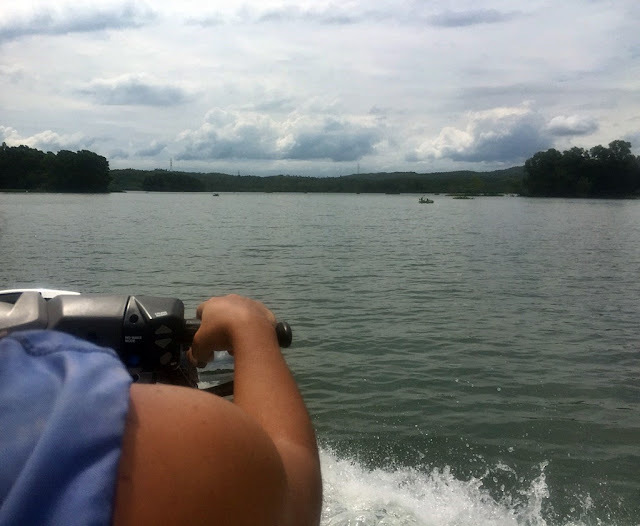 Wearing a life vest and all – the ride is perfectly safe for anyone to enjoy. The next day, we literally bathed in mud as we drove our respective AUV’s over the dirt road trails located within the Eco Saddle Nature camp. 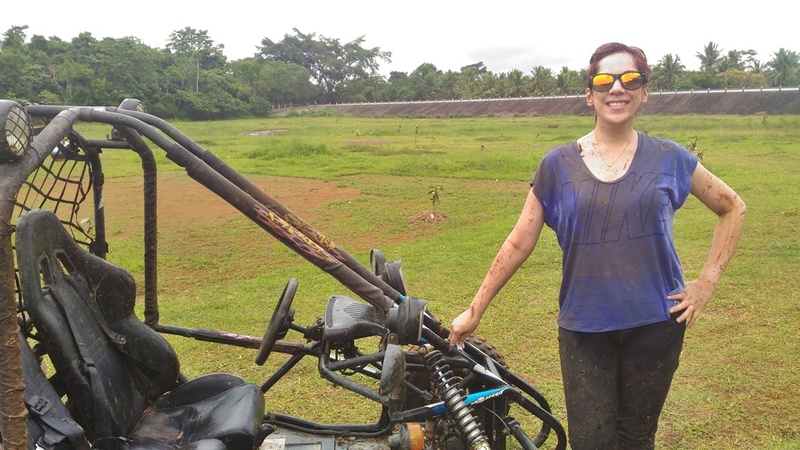 Faith’s smile can’t be hidden as she yells in delight even though her light milky skin was covered with dark gray mud. The outdoor activities definitely capped the fun long weekend we had at Eco Saddle's Cottages and Many More. Under a canopy of stars and the gleaming half-moon, we popped open a bottle of vodka I bought from Hanoi. Seated on the floor of the veranda with our feet dipped on to the water, we stared at the slight amount of luminous reflections on the lake. As we exchange shots of vodka, a free-flowing conversation ensued which afforded us a lengthier time to know more about each other. On our last morning, a staff of Eco Saddle's Cottages and Many More started the engine of our floating cottage and steered it over the vast expanse of the lake. Slowly moving over the still waters, we witnessed the changing colors of the morning sky as the sun rises over. Along the banks we spotted a few varying species of birds diving its wings over the towering trees. 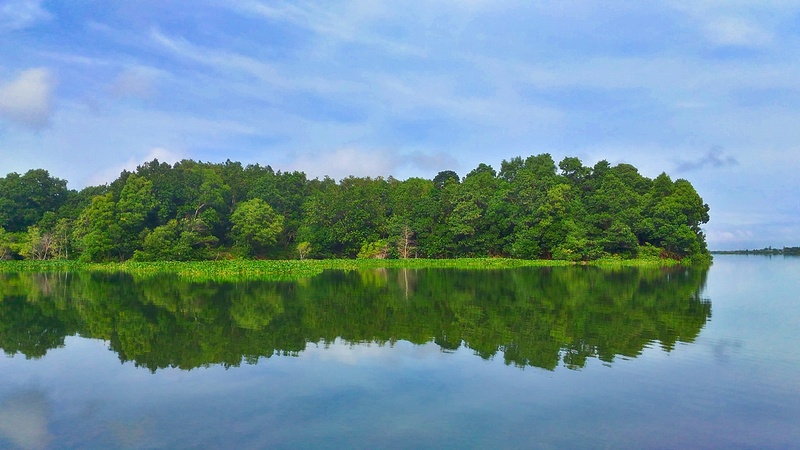 The sight of the lush greens reflecting beautifully on the glassy-waters of the lake, yells for you to do nothing but to just sit still amd just immerse yourself at the wonderful glow of everything around you. Surrendering myself to the charm of the place, I sat on the veranda again and directed my gaze at the blooming surroundings. Just like our floating cottage, the other cottages were built using native materials but peppered with hints of post-modern look. The nipa-hut inspired architecture of the other land-based chalets of Eco Saddle abounds with nature-retreat ambiances. Other cottages includes; the Tree House, the Mahjong Room, the Karaoke Room, Villa Terrace, Villa 4 and Villa 8. On our way back to Manila, Faith can’t thank me enough as she told me how the couple of days we spent at Eco Saddle rejuvenated her and literally rid the stress from her system. "Running the daily operations of my (technology gadget) business can be very stressful, so I really needed an escape such as this" she tells me. Agreeing with her 101%, I found myself making plans for a return to this place in the near future. 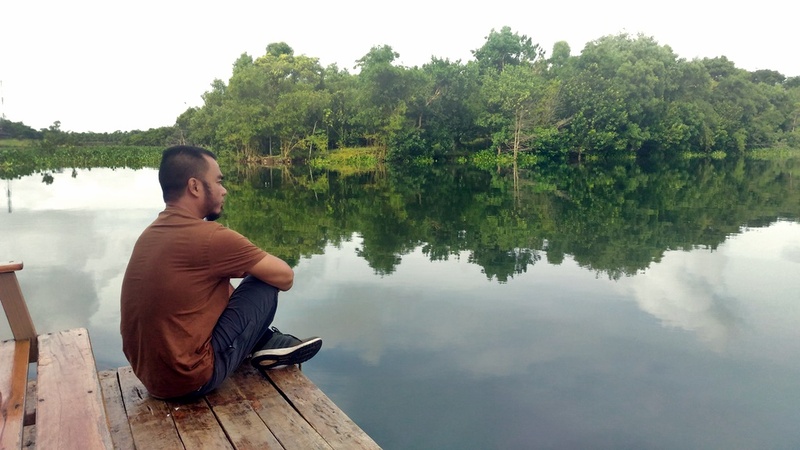 At Eco Saddle, I once again amassed another set of memories that further bonded my affection to the place encompassing the whole lake of Caliraya. By Private Car: We just trusted Faith’s Waze app just by entering “Eco Saddle Caliraya Lake” as our destination. Travel time takes around 3-4 hours from Manila. 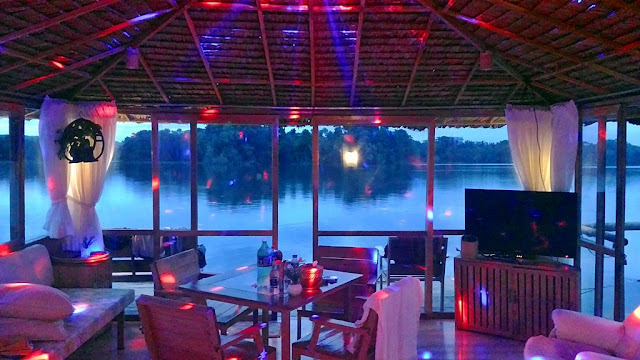 How to Book: Keeping a low-profile online for now, the management though would welcome email interaction for inquiries and reservations through their email: cottagesandmanymore@gmail.com.